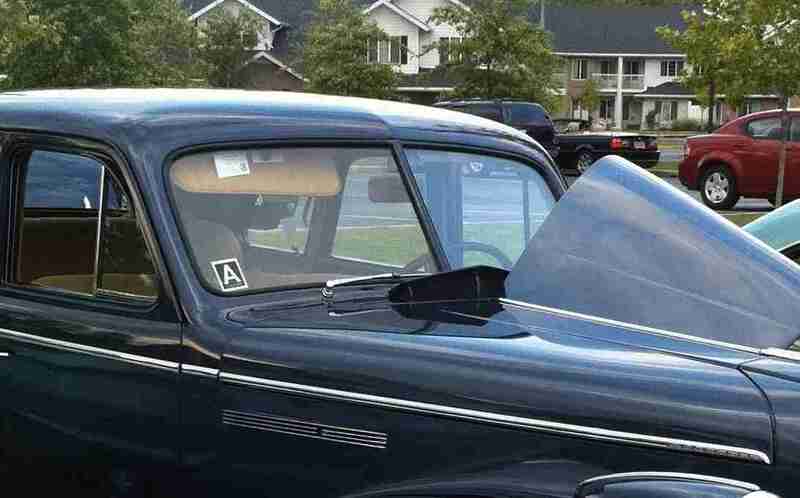 Recently, I was walking around a car show and found beautiful cars , many with an “A” on the windshield. The “A” peaked my interest and brought me back to the days of gas rationing. Gas rationing occurred during World War II (1942), in order to help control gasoline usage. The U.S. Office of Price Administration (OPA) rationed gasoline on May 15, 1942 on the east coast, and nationwide that December to assist in the war effort, which had caused massive shortages of gasoline. 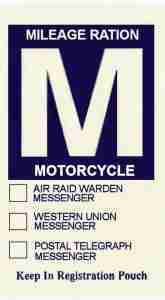 The OPA issued a variety of stickers to identify users and control the amount of petrol used. These stickers had to be affixed to a car’s windshield, and indicated that particular vehicle’s gasoline need. To get your classification and ration stamps, you had to certify to a local board that you needed gas and owned no more than five tires. 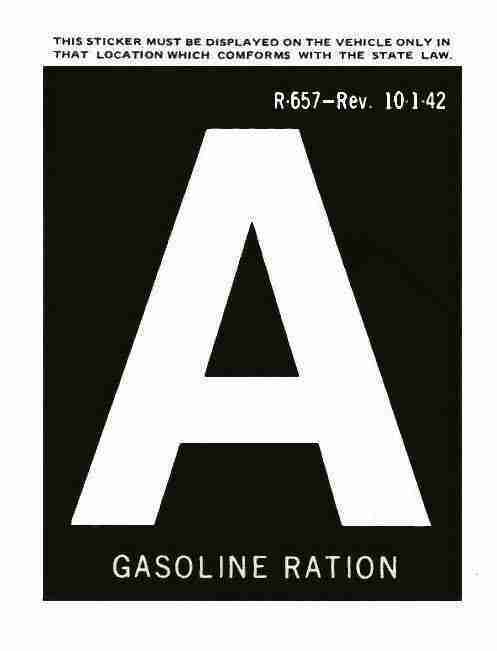 The “A” sticker is the most common of the WW2 gas ration stickers, and was issued to the general public and entitled the holder to four gallons a week. 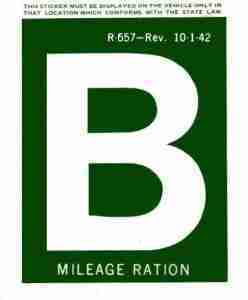 The “B” sticker was issued primarily to business owners and was worth about eight gallons a week. The “C” sticker was issued primarily to professional people: physicians, nurses, dentists, ministers, priests, mail delivery, embalmers, farm workers, construction or maintenance workers, soldiers and armed forces going to duty, and several others. A tab under the “C” sticker allowed an individual to check the box of his occupation. There are 17 different occupations for this sticker. Immediately after the war, they were quickly scraped off the windshields as many professional people did not wish their occupation indicated on their cars. 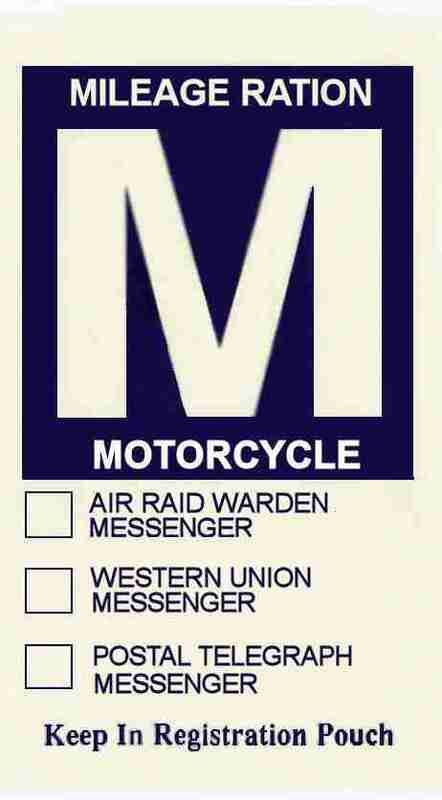 The “M” sticker was issued to motorcycle drivers, which included Western Union and other types of delivery people who used motorcycles for their business. 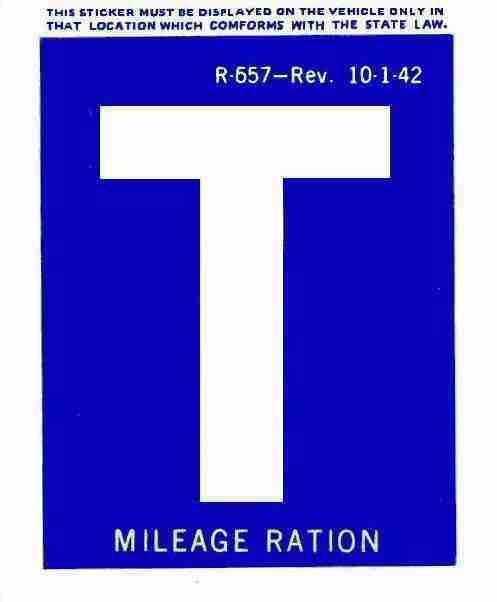 The “T” sticker was issued to truck drivers. 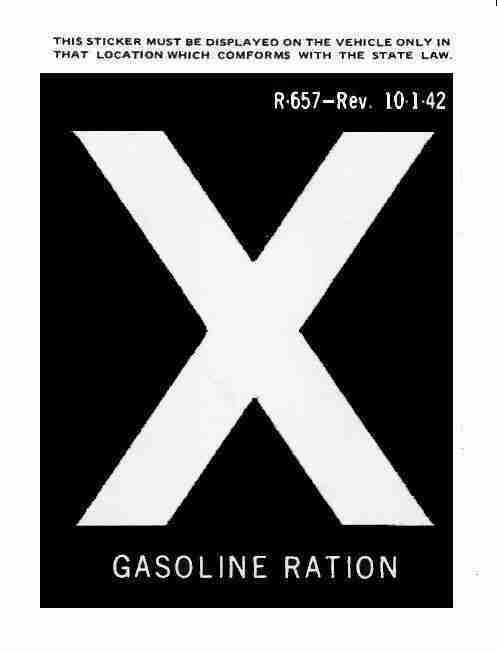 The “X” sticker was issued in special instances for high mileage type jobs such as traveling salesmen that needed be able to purchase gasoline in unlimited quantities. Many rich people and politicians also received these stickers. Actually, gas wasn’t what they were rationing at all. The main purpose of the restrictions on gas purchasing was to conserve tires. Japanese armies in the Far East had cut the U.S. off from its chief supply of rubber. Rationing was handled through the federal Office of Price Administration. To get a classification and rationing stamps, citizens appeared at the OPA office in person and swore to the high heavens that they needed gas desperately and owned no more than five automobile tires (any in excess of five were confiscated by the government). Each driver was given a windshield sticker that proclaimed his classification for all the world to see. Theoretically, each gallon of gasoline sold was accounted for at that time. The buyer surrendered his stamp at the point of purchase, and the vendor forwarded the records to the OPA. Gas rationing began nationwide on December 1, 1942 and ended on August 15, 1945. Speed limits were 35 MPH for the duration. For a short time in 1943, rations were reduced further and all pleasure driving was outlawed.